His Eminence Raymond Leo Cardinal Burke, D.D., J.C.D. Raymond Leo Burke was born in Richland Center, Wisconsin on June 30, 1948, the youngest of the six children of Thomas F. and Marie B. Burke. His elementary education was completed at Saint Mary School in Richland Center (1954-1959) and at Saint Joseph School in Stratford, Wisconsin (1959-1962). He attended high school at Holy Cross Seminary in La Crosse, Wisconsin, from 1962 to 1966, and also completed college courses there (1966 -1968) before attending the Catholic University of America in Washington, D.C., where he studied as a Basselin Scholar (1968 -1971). He undertook his studies for ordination at the Pontifical Gregorian University in Rome (1971-1975) and was ordained to the priesthood by Pope Paul VI on June 29, 1975, at the Basilica of Saint Peter in Rome. Father Burke’s first assignment was as Associate Rector of the Cathedral of Saint Joseph the Workman in La Crosse. In 1977, he took up the additional duty of teaching religion at Aquinas High School in La Crosse. In 1980, Father Burke returned to Rome to study Canon Law at the Pontifical Gregorian University. In April 1984, after completing his studies, he was named Moderator of the Curia and Vice Chancellor of the Diocese of La Crosse. In 1989, Father Burke returned to Rome when Pope John Paul II named him Defender of the Bond of the Supreme Tribunal of the Apostolic Signatura, the first American to hold this position on the Church’s highest court. After five years in this post, the Holy Father appointed him Bishop of the Diocese of La Crosse on December 10, 1994. Bishop Burke was ordained to the episcopacy by Pope John Paul II on January 6, 1995, at the Basilica of Saint Peter, and was installed in the Diocese of La Crosse on February 22, 1995, the Feast of the Chair of Saint Peter. During his years as Bishop of La Crosse he desired to increase devotion to the Sacred Heart of Jesus and the Immaculate Heart of Mary in order to strengthen families and increase their living of the Catholic Faith. To do so, he consecrated the Diocese to the Most Sacred Heart of Jesus and promoted the enthronement of the image of the Sacred Heart in homes, churches, schools and other institutions, he founded the Shrine of Our Lady of Guadalupe, and he brought to the Diocese of La Crosse the Marian Catechist Apostolate and the catechetical courses written by Father John A. Hardon, S.J. On December 2, 2003, Bishop Burke was named Archbishop of Saint Louis, succeeding Justin Cardinal Rigali. He was installed in Saint Louis on January 26, 2004, the fifth anniversary of Pope John Paul II’s historic pastoral visit to the Archdiocese. On June 29th, 2004, he received the pallium as Archbishop of Saint Louis, from Pope John Paul II. Archbishop Burke solemnly consecrated the Archdiocese of Saint Louis to the Most Sacred Heart of Jesus and created an altar dedicated to the Sacred Heart in the Cathedral Basilica of Saint Louis. On June 27, 2008, Archbishop Burke was appointed Prefect of the Supreme Tribunal of the Apostolic Signatura by His Holiness Pope Benedict XVI. On November 20, 2010, he was elevated to the College of Cardinals at the Consistory held by Pope Benedict XVI. On the following day, the Solemnity of Christ the King His Holiness conferred the cardinalitial ring during the celebration of the Holy Mass at the Papal Basilica of Saint Peter in the Vatican. In addition to serving as Prefect of the Supreme Tribunal of the Apostolic Signatura, Cardinal Burke has served on various Congregations such as: the Congregation for Bishops, the Pontifical Council for Legislative Texts, the Congregation for Divine Worship and the Discipline of the Sacraments, and the Council of Cardinals and Bishops of the Section for Relations with States of the Secretariat of State. On November 8, 2014, Cardinal Burke was appointed Patron of the Sovereign Military Order of Malta by His Holiness Pope Francis. Cardinal Burke has been the Episcopal Moderator and International Director of the Marian Catechist Apostolate since the death of Father John A. Hardon, S.J. on December 30, 2000. 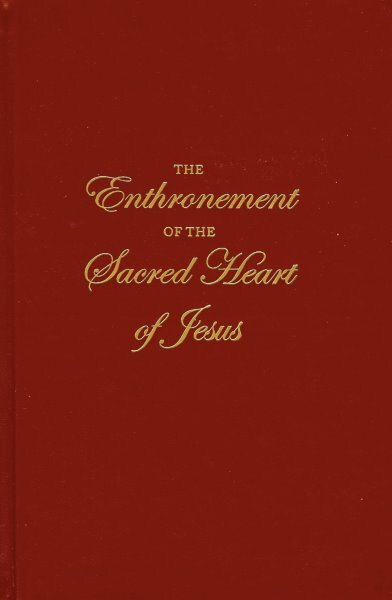 Find more from Raymond Leo Cardinal Burke in the Bookstore!